Lucios Italian Restaurant in Sydney Australia was established in 1983 and enjoys a remarkable reputation for exceptional Italian food and magnificent Australian art. 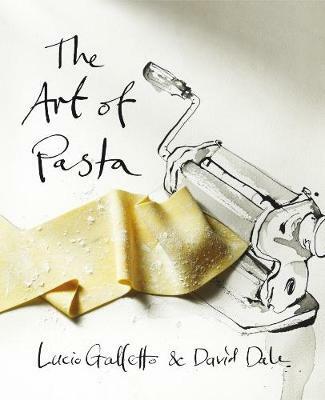 Their beautiful book, The Art of Pasta gives detailed instructions for making and cutting pasta (including pasta flavoured with herbs, porcini, saffron and squid ink), and for making simple filled pastas and perfect gnocchi. To accompany the pasta, choose from an array of mouth-watering pestos from the definitive Ligurian version made with basil and pine nuts to a vibrant-green pistachio pesto and a versatile orange and almond pesto that's equally good stirred through freshly cooked linguine, served with couscous or used as the basis of a salad dressing. Simple dishes mark the passage of the seasons, such as tagliatelle served with raw mushrooms in autumn, or with the first thin spears of asparagus in spring. In the cooler days of winter, authentic recipes for slow-cooked ragus (including a classic Bolognese sauce that has stood the test of time) really come into their own, filling the house with wonderful aromas. The Art of Pasta is filled with 160 authentic pasta recipes complimented with artwork by the very talented Luke Sciberras and photography by Anson Smart.